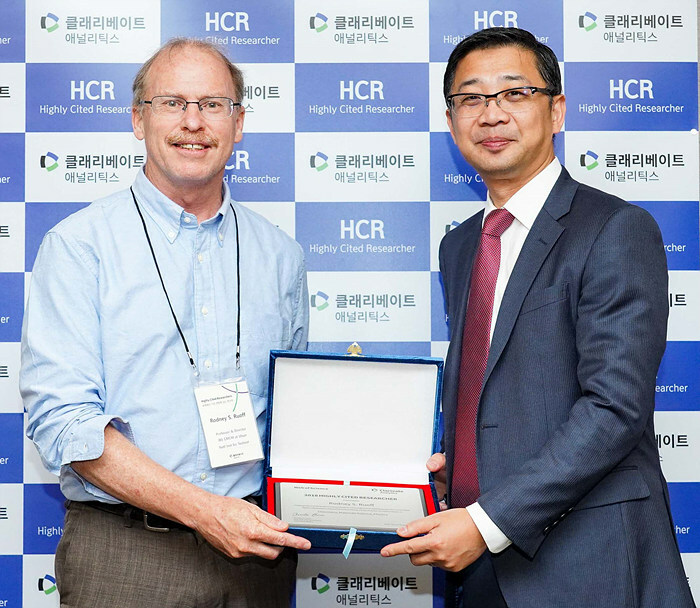 IBS once again proves its excellence of scientific research, being home to the highest number of Highly Cited Researchers (HCRs) among Korean institutions. The list recognizes world-class researchers selected for their exceptional research performance, demonstrated by production of multiple highly cited papers that rank in the top 1% by citations for field and year in Web of Science*. 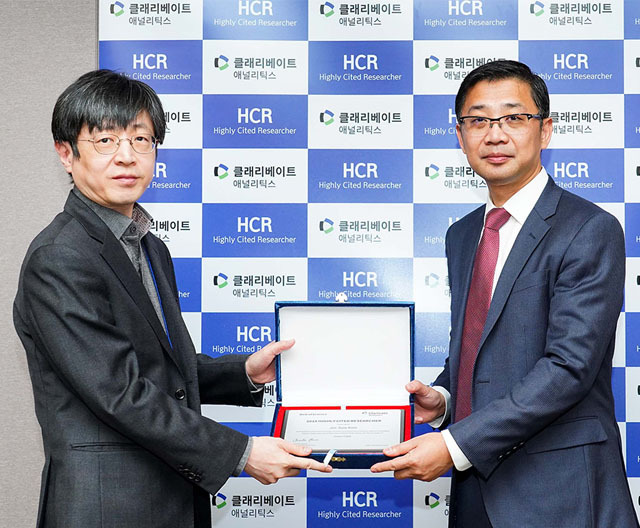 53 Korean authors are included in the list of 4,000+ HCRs. * Clarivate Analytic (previously known as Intellectual Property & Science business), is the global leader in providing trusted insights and analytics to enable researchers to accelerate discovery. 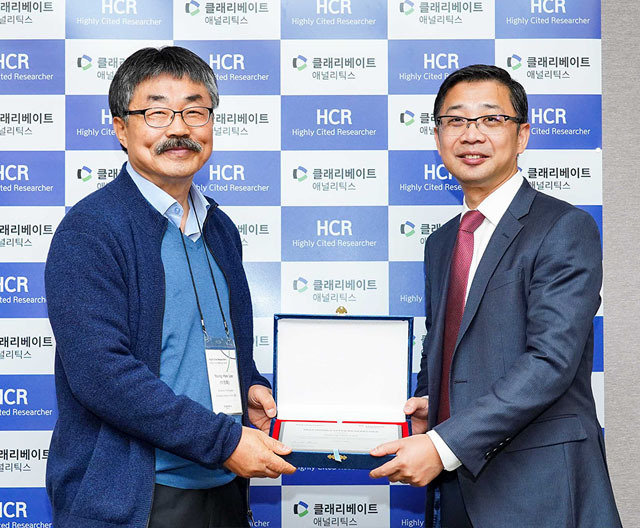 The company publishes its annual Highly Cited Researchers (HCR) list. Web of Science is one of its many well-known brands include, among others. IBS features prominently in the list with nine scientists. Rodney RUOFF, Director of the IBS Center for Multidimensional Carbon Materials continues on the list for the fifth consecutive year in three fields: chemistry, materials science, and physics. 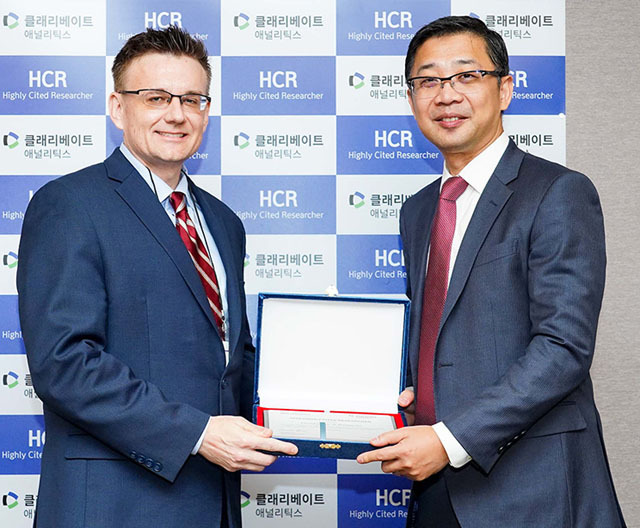 HYEON Taeghwan, Director of the IBS Center for Nanoparticle Research also appeared for the fifth consecutive year in chemistry and materials science. CHANG Sukbok, Director of the IBS Center for Catalytic Hydrocarbon Functionalizations has won the recognition in chemistry for the fourth year. ▲ Photo 1: Rodney Ruoff, Director of the IBS Center for Multidimensional Carbon Materials continues to impress for the fifth consecutive year in the fields of chemistry, materials science, and physics. ⓒ Clarivate Analytics. The other six IBS scientists* have their names listed as influential researchers for the first time. Among them, four directors are identified as having exceptional performance based on high impact papers in several fields. "This year, a new cross-field category has been added to recognize researchers with substantial influence in several fields but who do not have enough highly cited papers in any one field to be chosen," David Pendlebury, Senior Citation Analyst at Clarivate Analytics explains. * CHEON Jinwoo (Director of the IBS Center for Nanomedicine), LEE Young Hee (Director of the IBS Center for Integrated Nanostructure Physics), KIM Jin-Soo (Director of the IBS Center for Genome Engineering), Axel Timmermann (Director of the IBS Center for Climate Physics), KIM Dae-Hyeong (Associate Director of the IBS Center for Nanoparticle Research) in materials science, and Christopher Bielawski (Group Leader of the IBS Center for Nanoparticle Research) in chemistry. ▲ LEE Young Hee, Director of the IBS Center for Integrated Nanostructure Physics was listed in a cross-field for the first time. ▲ KIM Jin-Soo, Director of the IBS Center for Genome Engineering was listed in a cross-field for the first time. ▲ Christopher Bielawski, Group Leader of the IBS Center for Multidimensional Carbon Materials was listed in chemistry for the first time. Up to now, 11 IBS scientists have been named as HCRs. KIM Kimoon, Director of the Center for Self-assembly and Complexity was named for three consecutive years (2014-2016) in chemistry. KIM V. Narry, Director of the IBS Center for RNA Research was the first and the only author in molecular biology and genetics. "It is a great pleasure that we have 9 Highly Cited Researchers this year. IBS will remain as committed as before to providing full support for distinguished scientific investigations," IBS President KIM Doochul notes.